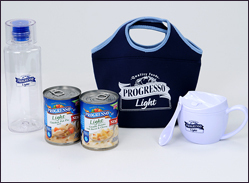 Alison Shaffer: Progresso Light Soup is here just in time for Fall. Enter to win an awesome prize pack too! 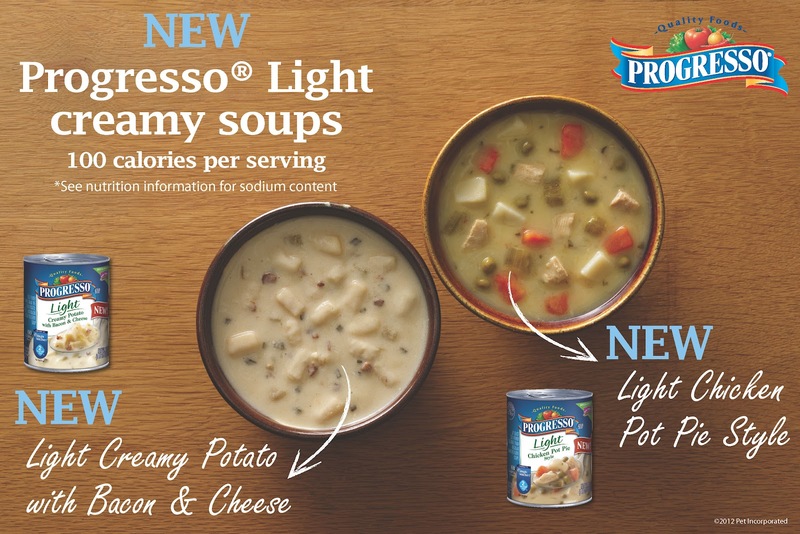 Progresso Light Soup is here just in time for Fall. Enter to win an awesome prize pack too! Progresso ® Light soups are here just in time for cool weather. Two new creamy flavors at 100 calories per serving.-Light Creamy Potato with Bacon and Cheese and Light Chicken Pot Pie Style are only 100 calories per serving! Warm up with a bowl of light soup from Progresso. And you can get a coupon to save on Progresso Soups. Soup is the prefect lunch time meal or even soup and sandwiches for dinner on busy school days. Take a can to the office or send soup along to school for the kids lunch time. That looks amazing! Can't wait! Hi my fave Progresso soup is the traditional chicken noodle soup! But I also love the turkey noodle and the beef vegetable soups too! The Light Creamy Potato looks yummy - I love the low cal and WW choices. My favorite Progresso soup is their Light New England Clam Chowder! MMM I love soup!! The perfect weather is coming soon for it!! I really like soup on a cold fall/winter day for lunch. Would love to try out the new varieties! I love Progressos World Traditions Chicken tortilla soup. The potato looks yummy too. I love chicken noodle! jeanne1368@comcast.net! Creamy potato with bacon & cheese sounds delish! We love the Beef Stew Soups. Hearty and flavorful - perfect for a Fall or Winter lazy meal! My fave is the light creamy potato! The Chicken Pot Pie would be my favorite. thanks for all your kind comments! random.org winner is #3, Ann Marie. congratulations! don't forget you can get a coupon for Progresso soups still.